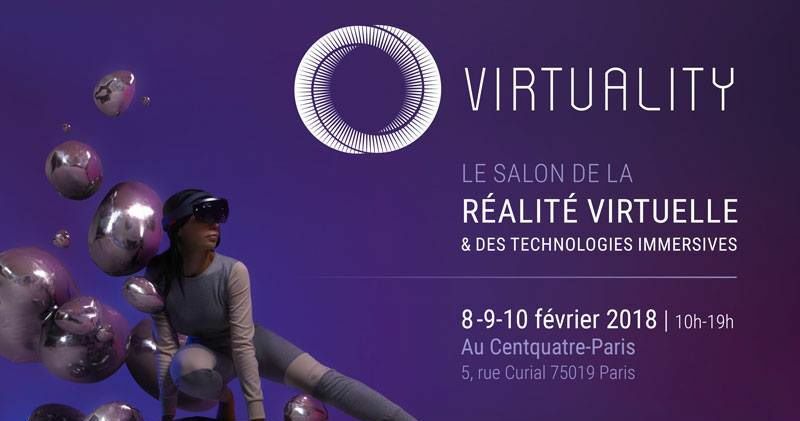 Virtuality (#Virtuality2018) is the multifaceted VR, AR and MR three-day event in Paris whose first edition last February gathered over 16,000 participants and 110 exhibitors, with accompanying media coverage. Attendees can meet VR/AR professionals in an exclusive space with networking services, test many leading-edge VR experiences, identify the new trends and immersive technologies, learn more on VR/AR impact through 40 talks. Speakers taking part in Virtuality 2018, from opening day on February 8, include, Antoine Bezborodko, Holoforge Interactive; Alan Snrech, Microsoft; Josephine Derobe, Les Poissons Volants; Deborah Papiernik, Ubisoft; Olivier Godest, Virtuality CEO/Founder; Frederic LeCompte, Backlight; Jonathan Richer, Theoriz; Chema Damak, Digital Mania Studio; Sergey Kartintsev, partner at ThePsycho Hyper-Reality VR; Nathalie Duboz, Grand Reporter Au News Medialab; Jerome Idelon, Product Owner, SnapPress; Valerie Senghor, Directrice Adjointe and Directrice Du Developpement Et De L’Innovation, Centquatre – Paris. There are many other speakers planned. Exhibitors and partners you can expect to see in the pavilion will include, Accenture, Art Graphique and Patrimoine, Backlight, DigitalMania, Microsoft, MODIMAGE VR, MoebiusVR, mk2 VR, smartVR studio, and so many other vendors. At Virtuality, speakers Marie Jourdren and Antoine Cardon, both members of DVGroup, address the topic, “Theatre, Cinema, Video Games – The New VR Paradigms of 2018.” After the international success of their project ‘Alice,’ The virtual Reality Play, which competed officially in the biggest VR international festivals in 2017, DVgroup will share feedback of their experience, their vision on the market in 2018 and of the key elements that will help the success of tomorrow’s VR experiences. Morgan Bouchet, Head of VR, Orange Content, reviews the new stages of use in all screens, including the new ones, so users can meaningfully profit from the digital world and the power of Orange high-speed networks. Orange will present at Virtuality 2018 the results of their projects in the XR sector and will also present their action plan for 2018. VR makes two major levers of the audiovisual narrative disappear: the frame and filmmaking short-cuts. In a place where the spectator can look wherever it pleases, the sound appears today as a necessary tool at the service of directing both the attention and of what is left off-screen. In their talk on “From Sound to VR Narration,” speakers Diego Losa and Laurent Bazin draw on their experience in the field of immersive fiction Les Falaises de V., Laurent Bazin and Diego Losa will detail their creation process and the tools which became real actors in the story, the image and the VR space. Now entering its second year, Silicon Beach Film Festival (#SiliconBeachFF) is the creation of Jon Gursha and Peter Greene, who are the creators of the Marina del Rey and Culver City Film Festivals, and Silicon Beach Film Distribution. The Silicon Beach Film Festival showcases up and coming independent filmmakers from across the globe in short and feature independent film genres. The festival focus is on technology and filmmaking technique and champions the convergence of media and technology as the creative means of its digital filmmakers. There has been an extended deadline for 2018 submissions up to early February. The festival begins February 9 for a four-day run. Interested filmmakers can submit their works on FilmFreeway (https://filmfreeway.com/SiliconBeachFilmFestivalMiami). More information about the festival can be found on the festival’s Facebook, Twitter and Instagram accounts. Silicon Beach is located on the Westside of Los Angeles and is a technology and film hub, and home to a community of digital filmmakers and studios. Silicon Beach encompasses and spans Playa Vista, Marina del Rey, Venice Beach, Santa Monica, Culver City, and other surrounding areas of Los Angeles. The festival is part of that Silicon Beach movement around West Los Angeles, although this year’s 2018 festival is being held in Fort Lauderdale and Miami. The Silicon Beach Film Festival Miami/Fort Lauderdale is part of the expansion plans of the team behind the Silicon Beach Film Festival. The Silicon Beach Film Festival is an event organized by Jon Gursha and Peter Greene, the creators of the Marina Del Rey Film Festival, Culver City Film Festival, Playa Vista Film Festival, Silver State Film Festival and Silicon Beach Film Distribution. Silicon Beach Film Distribution is a direct digital distributor to all the major digital platforms. Additionally, they are a direct educational distributor distributing film and television programs to educational institutions from major universities to small-town public libraries. Silicon Beach is the Westside region of the Los Angeles metropolitan area that is home to over 500 tech startup companies, with emphasis on the coastal strip north of LAX to Santa Monica Mountains, but also anywhere in the LA basin. Major technology companies have opened offices in the region including Google, Yahoo!, YouTube, BuzzFeed, Facebook, Salesforce, AOL, Electronic Arts, EdgeCast Networks, and MySpace, and its effects are also spilling over into Marina del Rey, and Hermosa Beach and continues to attract tech firms, venture capital, and startups. Silicon Beach is also home to a number of start-up incubators and accelerators, such as Amplify, LA, Science, Disney Accelerator, and TechStars Cedars Sinai. In the Catalonia district of L’Hospitalet de Llobregat, Mobile World Congress (#MWC18) is set to happen in late February. The #MWC18 conference agenda has been sorted into 8 themes in order to assist attendees in finding the conference sessions that are most relevant to their interests. Kathrin Buvac, Chief Strategy Officer, Nokia, will deliver the first planned solo keynote address for the Mobile World conference on opening day, February 26 of the four-day convention. YoMo Barcelona will run alongside #MWC18 and aims to inspire future generations to pursue education and careers in science, #technology, engineering, art/design, and math (STEAM) disciplines. More than 17,000 students and 3,000 educators from across Spain will participate in this four-day showcase of science and technology. With plans to strongly emphasize discovery, learning, and networking, #MWC18 has brought back Custom Experience Tours and Topic Tours. Custom Experience Tours will comprise an assembled package of specific objectives, key areas of interest, potential business partners and relevant activities to help a client reach their company goals. The Custom Experience will seek to bring new business contacts together, introduce new mobile solutions, address questions with experts and peers, and make lasting business relationships. MWC Topic Tours will consist of tours through the mobile ecosystem by industry experts, and visitors are introduced to MWC exhibitors while networking with fellow attendees. Keynote Speakers lined up for Mobile World Congress include, Dr. Jim Yong Kim, World Bank; Jeremy Fox, Atrium TV/DRG; Vittorio Colao, Vodafone Group; Borje Ekholm, Ericsson; Ajit Pai, United States FCC; Mats Granryd, GSMA; Kathy Calvin, United Nations Foundation; Cher Wang, HTC; Marie Ehrling, Telia Company; Christopher Young, McAfee; Berit Svendsen, Telenor Norway; Kazuhiro Yoshizawa, NTT DOCOMO, Inc., Sigve Brekke, Telenor Group; Ricardo Nevares, Governor of Puerto Rico; Rajeev Misra, SoftBank Vision Fund; Oren Jacob, PullString; Jim Whitehurst, Red Hat. Topics up for presentation for the #MWC18 conference agenda will include, Mobile Advertising and Media Spending, Embracing Digital Transformation and Digital Culture, Value Creation and Investment in Content, Creating Better Content and Media, Samsung Mobile Enterprise Summit, Virtual Worlds: Immersive Experiences, Content Tour, Heroes of the Mobile Age: The New Brand & Consumer Ecosystem, Policies to Expand Access to Mobile, Workshop by Samsung NEXT, Transforming Mobile Network Economics of 4G/5G, The Fusion of TV and Digital: 1 to 1 Creative Storytelling, Expanding Digital Services to the Next Billion, Introducing the Augmented Human, Emerging Tech Tour, IoT Tour, VR Language Education, Delivering the IoT Ecosystem, Better Filter for Now and Next Radios, Mobile and Digital Technologies Accelerating The Impact of Digital Social Innovation, How to Survive and Succeed in the Digital Economy. The GSMA represents the interests of mobile operators worldwide, uniting nearly 800 operators with almost 300 companies in the broader mobile ecosystem, including handset and device makers, software companies, equipment providers and internet companies. The GSMA works on projects and initiatives that address the collective interests of the mobile industry, and of mobile operators in particular. Annual events the GSMA produces includes Mobile World Congress, Mobile World Congress Shanghai, Mobile World Congress Americas and the Mobile 360 Series conferences. BVE 2018 at Royal Victoria Dock, is an expo dedicated to broadcast, production, and post-production. Professionals working in the media, entertainment and creative industries are drawn together through the program offerings, allowing them to explore and experience the future of the content creation, commercial innovation, and leading-edge technologies. The gathering of creative minds, tech innovators, and business leaders come to discover, experiment and trade information in the latest technologies that will help them rethink the way they craft and tell stories. For the first time, BVE (#BVE18) will feature a new zone focused on VR, AR, MR, and AI innovation and creativity. Workshop programs from The Storytellers Stage to the Techflow Futures theatre, serve as a new way to discover process to craft and tell stories through live demos, case-studies, and insightful seminars. BVE is free to attend. Visitors planning to attend only need fill out the webpage form at https://goo.gl/Es4Mq4 to receive their free ticket to gain entry. BVE’s 2018 seminar program will be sectioned off into topic areas. Topics will include, The Storytellers Stage, The Business of Production, Craft of Capture Theatre, Techflow Futures, Post in Practice, CME Theatre. BVE will provide insight into all aspects of the content production process. Sessions are set up to show creativity and ideation, and the business behind making productions work, to acquiring the content, putting it through the production workflow, editing in post-production and then delivering it on any device. The BVE Creators’ Challenge, will be an endeavor to find a theme or concept for the stage that will then be converted into a story. The challenge is being launched in collaboration with Seenit, an app-driven collaborative video production platform from Seenit of London. Seenit the app helps realize the work of an uncoordinated assemblage of camera operators focused on a common theme (such as community stories), into a cohesive story. It is expected that themes will fall along the lines of something personal, like ‘what does content/broadcast production mean to you. It could also be something a little more abstract. The BVE Creators Challenge allows any of the thousands of people visiting BVE to participate in the challenge but anticipates a small group of people to be the leading contributors to the challenge, ideally, contributing mobile film footage in short bursts throughout the day. 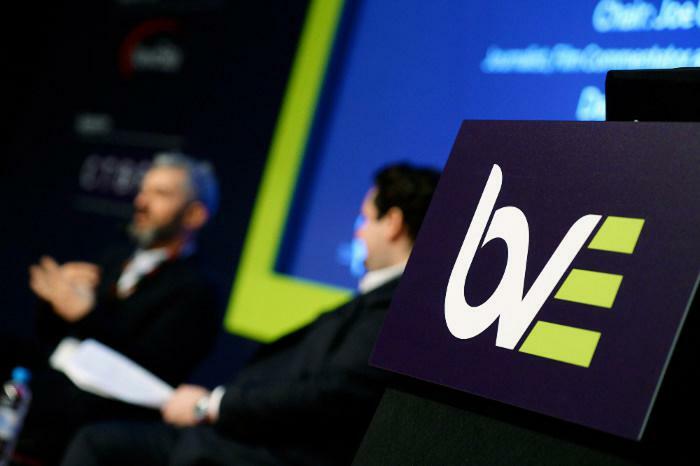 Creators will be invited to join in a number of dedicated sessions at BVE. The first will begin on February 27 at the Storyteller’s Stage with a run-through of the challenge, the creative brief, and a demonstration to the creator’s group how to use the Seenit platform. Roughly, what follows is a workshop in the craft of capture theatre, with an expert practitioner going through best practice in capture, and capture in 360. Seenit will be set up on the show floor with a live editing desk, and in communication with all creators, showing how User Generated Content is collected, edited and coordinated. This takes place over two days, with the editors finishing the challenge in the post in practice theatre on March 1 The aim is for after three days to have a short form piece of content to show how UGC can be leveraged, quickly, to create unique content. The AAMA/AMOA Amusement Expo International, the annual event for the coin-op and revenue generating amusement, music, and family entertainment industry, will come to Las Vegas in 2018. The Expo, an annual event for the coin-op and revenue-generating amusement, music, and family entertainment industry, is a three-day program featuring one day of education and two days of exhibits. Meagan Johnson will lead off Expo Education Day at 2018’s AAMA/AMOA Amusement Expo (#AmusementExpo) on opening day, February 27, in Las Vegas. From February 28 through March 1, exhibits will be open in the South Hall of the Las Vegas Convention Center, which is adjacent to the hotel. Known as a “Generational Humorist,” and after working several years in a sales environment, she is slated to address business owners and managers in the amusement, family entertainment center and related industries, Meagan Johnson’s topic will be entitled: “Zap the Gap!” offering perspectives about Generation X, the 50 million people born between 1965 and 1980. The Amusement Expo is co-owned by industry trade groups, the Amusement & Music Operators Association (AMOA), and the American Amusement Machine Association (AAMA),. New to the agenda in 2018, the Expo is extending its reach at the conference and trade show by diving into the virtual reality entertainment ecosystem as an area of focus and growth, and embracing the emerging virtual reality arena into its education focus and exhibitor gallery. A new VR Pavilion on the trade show floor will be devoted exclusively to the rapidly emerging and evolving virtual reality experience segment of the marketplace. The aim of the VR Pavilion is to educate traditional amusement operators about opportunities and products from the VR attractions market and offer VR companies the chance to exhibit and connect with a large group of influential new customers who are unlikely to attend other virtual-reality focused events. The new VR program’s educational track debuts on opening day, February 27, during the Amusement Expo International Education Day. VR will also be an addition to the core of coin-op, FEC, bulk vending and laser tag areas on the exhibit floor during the Amusement Expo International trade show. 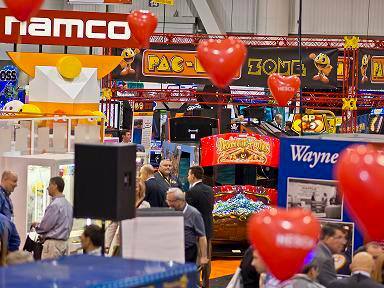 Dating back to March 2010, the AMOA and the American Amusement Machine Association (AAMA) joined forces to create a brand new trade event for the coin-op and out-of-home entertainment industries. The American Amusement Machine Association (AAMA) is an international, not-for-profit 501(c)6 trade organization representing the manufacturers, distributors, suppliers and location owner/operators for the coin-operated amusement industry. Their mission is to enhance the industry through legislative advocacy, education, events, networking and member programs. The Amusement and Music Operators Association (AMOA) is a national not-for-profit 501(c)6 trade association. Since 1948, AMOA has been the voice of, and advocate for, those individuals and companies engaged in the currency-activated amusement, vending, music and family entertainment equipment business. The above events are only a sample of what is fully listed. Complete details are on the “Calendar of Global Media and Showbiz Industry Social Networking Events” page. If you like this report and other content found on The Actor’s Checklist, like the Facebook page at this link. 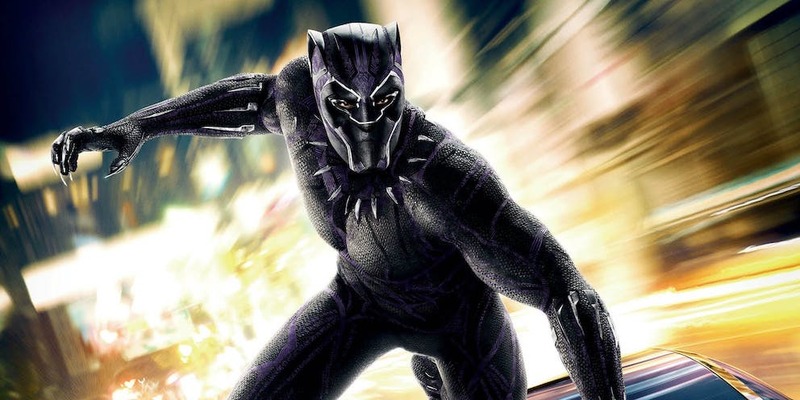 In this month’s photo placement, Marvel Studios The Black Panther (top photo), opens mid-February in North America, directed by Ryan Coogler, with Chadwick Boseman, Michael B. Jordan, Lupita Nyongo, Danai Gurira, Forest Whitaker, Angela Bassett, Andy Serkis. Next down the page, Virtuality in Paris, Silicon Beach Film Fest in Miami, BVE 2018 in London, Amusement Expo International in Las Vegas. So entering the month of February, event dates are pouring in and things are roaring along, and here’s what you need to keep a heads up about that will be coming in March. FICCI Frames 2018 comes to Mumbai, Internet World is in Munich, SxSW returns to Austin, China Content Broadcasting Network will be in Beijing, the Entertainment Finance Forum entering its 10th year is in Los Angeles, Georgia Film Trade Show and Networking Event will be in College Park, WonderCon 2018 returns to Anaheim, GDC Game Developer Conference is in San Francisco, European Immersive Computing Summit will be in Venice.